Collectors in Hong Kong and Asia are now being deliberately targeted by fine wine counterfeiters authentication expert Maureen Downey has warned. Speaking to a room of wine traders, educators and wine connoisseurs in Hong Kong last week for a seminar on wine fraud and wine authentication, Downey claimed that a large number of fake wines made in Europe are finding their way to the shores of Hong Kong, turning the city into a “dumping ground” for fake wines. The dumping phase, according to Downey, happened shortly around 2008 when merchants in the US were uncovering counterfeit wines by Rudy Kurniawan. This was also the time when Hong Kong erased all tax on wines, making it an easy target for merchants who were seeking an outlet, she said. 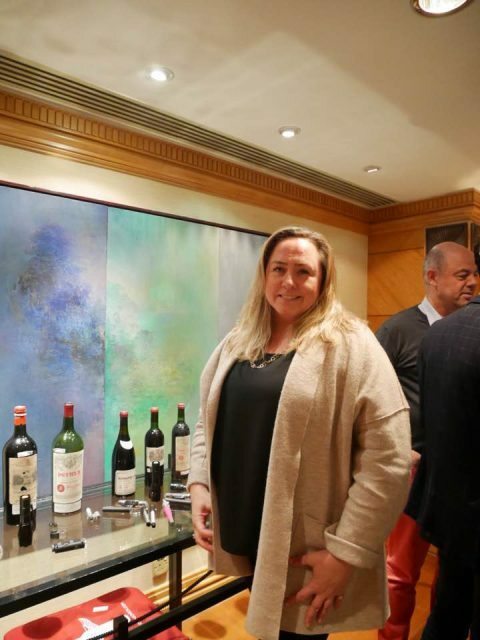 “As soon as the duty dropped in Hong Kong that was around the same time when people were realising how many counterfeit wines there are in the States, and therefore, a lot of merchants rushed into this market and I think it became quite fast a dumping ground for counterfeits,” Downey told dbHK at her wine fraud and wine authentication seminar. Speaking of today’s fake wine market in Asia, Downey believed that it had changed from the dumping of a few years ago and that a new array of largely European forgers were making counterfeit wines specially targeting Asian buyers. “I am hearing – from one of my colleagues living here – that counterfeits are pouring into Hong Kong from Europe right now at a rate that is higher than at the height of what Rudy Kurniawan created. “That’s different from dumping, because it means people are making counterfeit wines that specially to meet the need and demand of the hungry Asian market for fine wine,” she explained. 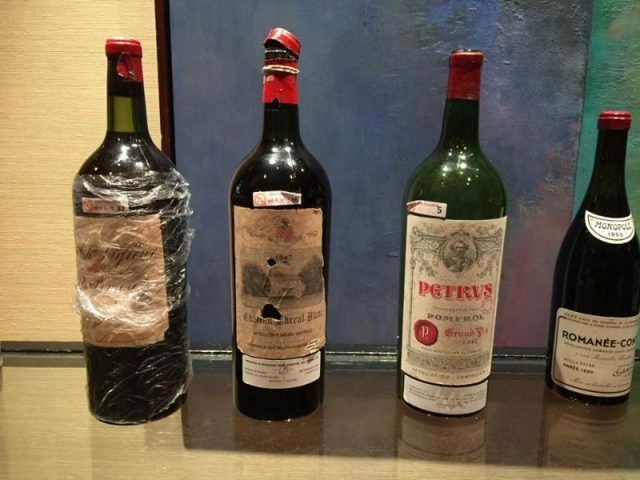 Last year at a similar seminar in London Downey had said that as much as US$550 million worth of fake wines created by Kurniawan could still be in the market and was being sold “over and over again”. Compared with the US, the problem with fake wines in Asia is more acute, partly because of collectors and buyers’ limited wine knowledge, making them an easy prey for fraudsters, she commented. “It’s such a big market and rich market, and its’ the same way when we were a nascent market in the United States. You know there’s a lot of incredibly wealthy – much more so than the US – and uneducated collectors here in Asia, and they are being taken advantage of,” she continued. Citing figures by Nick Bartman in a series of reports on China’s fake wine market, Maureen estimates that 70% of imported wines in China are ‘fake’, although admitting she is not as knowledgeable on China market as she wants to be. The definition for fake wines, according to Maureen, is a more general and lax term that also includes misrepresentation of wine information and intellectual property infringement, a problem that is more acute in Asia. Hong Kong merchants and trade officials from China, however, largely remain suspicious about the fake wine figures. Speaking to dbHK, Wang Xuwei, head of the China Association for Imports & Export of Wines & Spirits, reiterated his association’s stance against any kind of fake wines but stressed the figures in question are “too high”. “Our members are major importers in China. In terms of motive and their companies’ long-term development, they won’t produce or sell fake wines. As far as I know, they are actively training staff and their clients on identifying counterfeit bottles. Their ability to tell fake wines is increasing too, so I think there’s lesser room for counterfeits in China,” the Chinese official explained. So far, the trade association has more than 500 members of wines and spirits merchants and importers. Wang admitted that the scale or size of fake wines in China is hard to gauge, and there are no definitive figures on it either. “This is pretty much the same as buying a Louis Vuitton bag. If you purchase it from a random street vendor, the chances are that you are buying a fake. Same with wine, so for consumers, you have to buy wines from trustworthy and reputable merchants,” he continued. Eric Desgouttes, general manager of Kerry Wines in Hong Kong, echoed the suspicion on China’s fake wine figure. “I do think that China is facing some issues when it comes to fake wines, the figure quoted of 70% appears to be, in my view, exaggerated especially when it come to the mid and upper tiers of fine wines,” he noted. In terms of safeguarding wines’ authenticity, the merchant said his company deals with direct contact with wineries and reputable merchants and negotiates to minimise the risks of fake wines. YesMyWine.com, a company that sells wines both in Hong Kong and Mainland China through its online website, was also cautious about the number. “I am surprised the figures are that high, but I can’t challenge it cause we haven’t done the research ourselves to back it up,” James Pun, product manager of YesMyWine.com told dbHK, noting that in the past eight years since the start of the company, the e-retailer hasn’t received any complaint on fake wines. “When one importer or e-tailer gets reported for selling fake wines, it contaminates the environment and shakes up the consumers’ confidence, and then we have to take further measures to ensure consumers of our wines’ authenticity,” he added. The company has a policy that refunds its consumer ten times of the bottle value if he or she ended up buying a fake wine from the company.